So informative! I will listen several more times as I work to build up my brand.Thank you, Laura. Laura Adams does a great job of distilling more complex, but very important topics into easily understood language. I just heard her podcast today on travel insurance. I never purchased this before, but will think hard about it next time my family takes a big trip. I didn't realize the cost and coverage structure. I appreciate the broad and varied personal finance topics on here. The Motley Fool podcasts brought me to hers. I am eternally grateful to have a financial expert to guide me through this complex financial jargons in my almost retired age, 56 after staying home for 25 years to care for my family of 5, found myself divorced (in the process) and completely detached from managing my personal finances! You are the light in that dark financial tunnel! I thank you from the bottom of my heart! I wish all the divorce podcasts will linkup tp you! Helpful information and tips. Bit odd that the presenter asks for a âquick 5 star reviewâ. Surely a persons view is their own. 5 stars wonât come from everyone but doesnât necessarily devalue your show. From a (soon to be) college grad! I have been binging this podcast for about a week now, it is so packed with useful information! I am graduating college in 6 weeks and have already started my first full-time job, but I feel incredibly overwhelmed when it comes to starting out with saving and investing. This podcast has been very helpful in understanding the importance of investing early! I would love an episode targeted to fresh grads with the top 10 things you wish you had known/done in your early 20s! Very pleasant voice and easy to listen to, well produced podcast and great info for the average person trying to figure out personal finance.One suggestion to Laura is to add your name to the podcast as I didn't see it on there in the Apple Store and fans can search for you that way. Very practical and easy to understand. My go-to source for financial information! Iâve been listening to the Money Girl podcast since 2007. Itâs my go-to source for financial information! Each podcast is a well thought-out, straight-forward presentation of financial info on a specific topic that anyone can understand. Highly recommended! I love this podcast! Iâve recommended it to at least three different people. She gives great advice and itâs relatable and doable! I absolutely love this podcast! Itâs amazing how informative she is and the best thing is that itâs all for free. Iâve learned so much and truly appreciate all your (and your teamâs) hard work. Thank you! Omg how have I lived without this resource?! So simple and clear and easy to understand. Great information, Iâm only on my second one and Iâm already hooked, thank you!! I found this podcast two years ago and have been listening religiously since then. With her advice, coupled with personal research, Iâve been able to jump my credit score into the excellent range, pick an amazing credit card, evaluate far off decisions based on my goals for the future and so much more. Worth listening to, especially because the topics are so varied! I love that I can scroll through the variety of topics and listen to podcasts that are helpful to my current situation and near future. Good tips, but too much rambling and sponsorship plugs for me to rate any higher. Iâve listened to this podcast for years and itâs consistently been excellent. I especially appreciate that the topic is strictly about money... like it advertises itself to be... and Iâve never heard a hint of a political slant. Itâs informative, interesting and very helpful. Iâve unsubscribed from several podcasts lately because Iâm tired of political agendas being injected into the shows... either the political slant is becoming more prevalent or Iâm just becoming more annoyed by it. Either way, this podcast delivers exactly what it promises and I really appreciate that. I helped my daughter with her retirement saving choices at work thanks to you! Great podcast! It has helped me... I don't listen to all of them but when I do I'm glad I did. Smart, timely, and practical advice on how to save money on the things you are already spending it on everday. I highly recommend episodes 537, 541, 542, and 557 as they delve into IRAs and HSAs. Laura is very technical as an MBA, but relatable as an everyday person. The problem with financial well-being is a lack of awareness - you can't solve problems you don't even know exist. Laura highlights key trouble areas affecting most people, and offers great money-saving ideas you can take advantage of right away. Thank you for putting in all the hard work and helping bring this useful content to the masses! I appreciate the manner in which Laura covers her topic. She avoids the traps of many in others in this space by not talking down to us listeners, holding our interest and being relevant. Iâm hooked! I love that it is down and dirty and keeps things simple. The episodes Iâm interested in always provide good basic, as well as info pearls, to help me be in charge of my finances and avoid expensive mistakes. The presentation is very clear and always professional. MoneyGirl offers short concise episodes to get you thinking about your financial future. Highly recommend! Iâm fairly new to Podcasts but love audible books, so I thought I would give this a try. I want to broaden my understanding of financial concepts particularly for single successful women who are saving for retirement and eventually want to create an additional investment strategy to build wealth. Iâve been listening to Laura for almost a year and Iâve learned so much during this time. Thank you for putting together a show that is educational and thought-provoking. I look forward to new episodes weekly. This is an excellent podcast for personal finance. Iâve listened for two years and have learned an enormous amount. Presented clearly with real world examples. A great use of your podcast time. I love all of the information given but thereâs one thing... is there anyway possible to listen to more episodes without going to the website? Itâs confusing and takes so much time to scroll especially when Iâm at work and can only listen and not use my phone as much. If this can be fixed this would be the best podcast ever! This podcast has truly helped me examine how I can create the life I want with the income I have. Short episodes that are packed with solid advice. I love that Laura is very knowledgeable and explains everything clearly. Itâs kind of like sitting down to talk with a financial mentor and I canât thank her enough! I canât get enough of these episodesâ inspired and encouraged by the informed, accessible and eye-opening advice. Should be required listening for high schoolers, college students, and young professionals on their financial journeys; wish I had all this info when I was starting outâ grateful for it now! Love that the podcasts are succinct. You feel like you just did something good for yourself in a short period of time after listening. Info is well-explained with lots of resources available for further reading if choose. Great job Laura! I am loving Lauraâs podcasts from investing, saving and controlling spending tips, I am learning a lot. This is a great resource for any level of financial knowledge. Laura Adams covers one topic in a direct, no nonsense manner. It is so refreshing to not have to listen to a bunch of drivel since Laura gets right down to the nitty gritty.Thank you Laura. If you are a consumer, this show is for you. I started listening soooo many years ago (like 10) and feel bad for not leaving a formal review sooner. Consumer law is my specialty, and that was what originally attracted me to this show. Now I recommend it to all of my OnMyComeUp.com clients who are trying to improve their financial situations through budgetting, debt settlement and credit repair. We started this business because there is so much false information out there, but Money Girl is the only one who has always kept it real. So many people who give financial advice never give reasonable advice for real people and always end up being spokespeople for buying gold or some other sketchy product. Not Money Girl. Her advice is impartial, straight to the point and for real consumers. I thank you for all of your consistent, rich :) advice. This podcast is amazing. The information is helpful and provides great insight for the individual(s) that seeks to increase their financial acumen. You leave each episode more intelligent. This is a nice podcast for the average working person trying to tighten up their financial lives.Laura, can you do a show on using a HELOC to pay off your mortgage faster? Is this a scheme or does it make mathematical sense? Thanks! Great content learned a lot in a few episodes. Made this my micro habit during my commute for work. Thanks for all the great information. I love listening and passing them on to my 3 nieces in their 20s so they start creating good habits early. Great podcast, informative and inspirational! I love this podcast. The host really knows how to explain the topics in detail. She includes enough of the âwhat to dosâ. Other podcasts just do an overview and tell you to buy whatever book. This podcast leaves me feeling informed and empowered to take action in improving my finances. It also is the boost I need to hear when I just want to go against my gut and make irrational purchases. Thank you for keeping me on track! Thanks moneygirl. You keep it short, informative and real! The title of the podcast is unfitting and unprofessional, and the host constantly asks for five stars, but I appreciate the content. 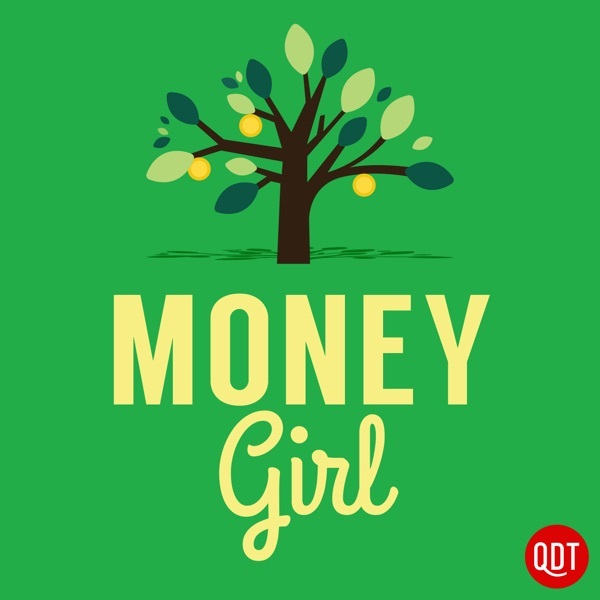 The Money Girl podcast caters to all skill levels, all financial paths, and all money types. Started listening to the podcast when I decided to get out of debt. I thoght I would need to go to different podcasts as my finance outlook improved. Not the case. Already got over a hump? Stick around for a refresher coarse. It's all comprehendable and all good. Timely and easy to understand financial information. Laura presents the subject matter in a clear and concise manner. Have definitely learned some thimgs here. Keep it simple sweetie...and that is exactly what I get from this podcast! Important info in a decent amount of time, thanks! Been listening for awhile. Should have reviewed by now. WONDFERFUL financial podcast. Straight to the point and spot on. Thank you for this free information!! !